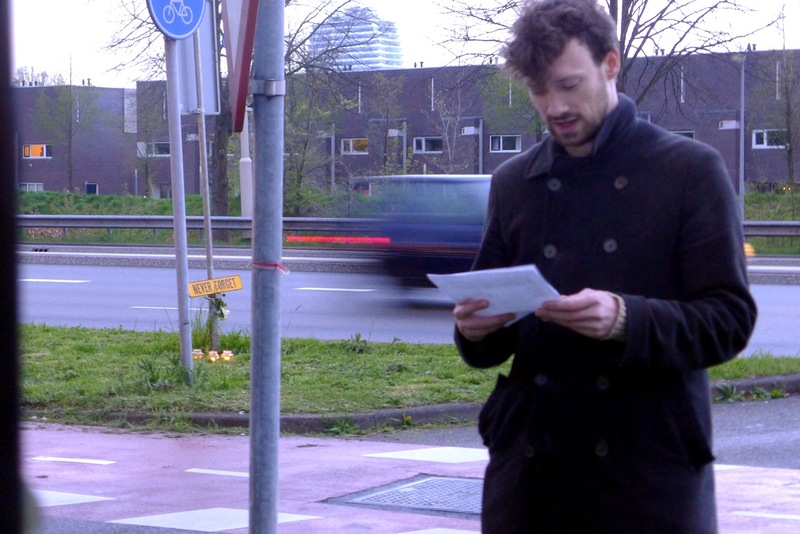 Audio artist and writer Kasper van Hoek encountered such a curious and memorable car accident on 29-04-2014 that he decided he wanted to commemorate the event with friends and peers. Exactly one year later, a commemoration speech coined “My Favorite car crash” was held by van Hoek at the exact spot of the accident. 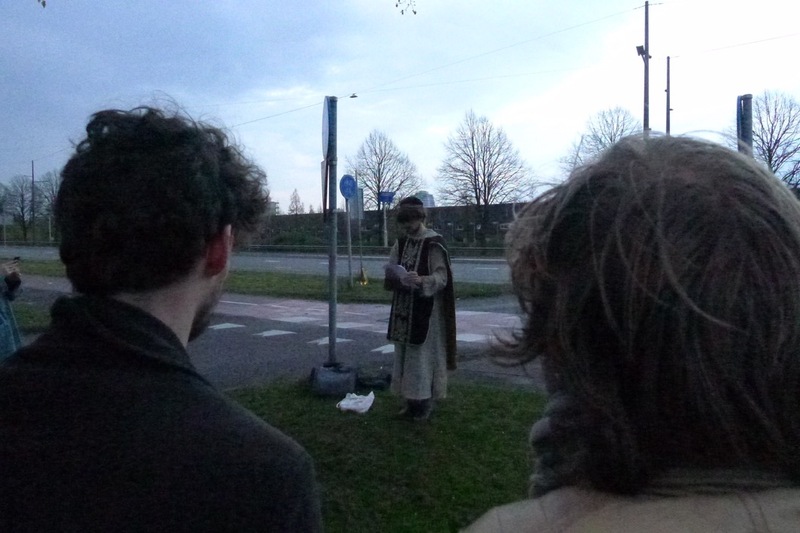 Additionally poet Joost Oomen contributed a suitable poem written specifically for the occasion. 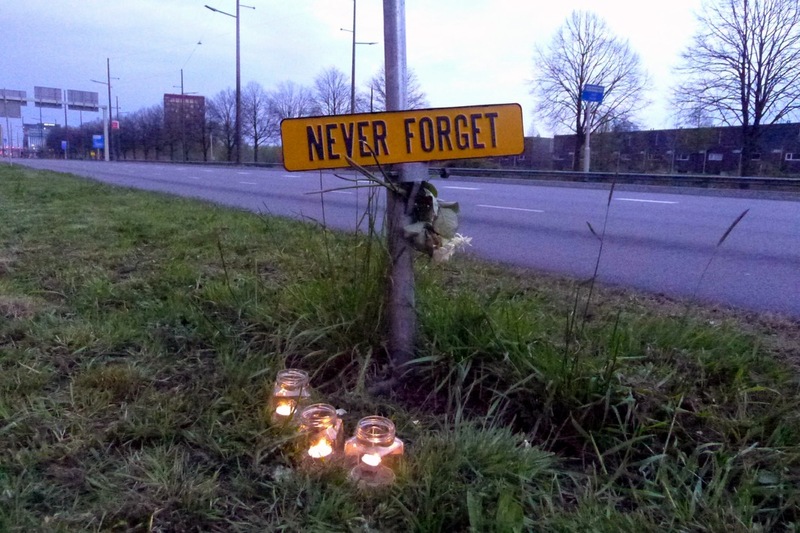 I made a temporary monument titled NEVER FORGET, using a number plate, candles and flowers.